If you have an iPad 3G, you may want to access the internet even though you are not inside a wifi zone. You may not yet own a pocket wifi device yet or you may have heard that smart and globe communications can give you internet access using the same signal your regular phone is using. Luckily, these two networks both have their micro sim available on the market that enables you to access the internet wherever their signal is present. Both of these network also offers unlimited plans with their micro sim packages. And applications is so easy as it only requires a valid identification card and proof of billing at most. Common sense though dictates that you can access the internet using these micro sim if your owned iPad is an iPad 3G. Not all iPad model is 3G capable, so please ask your store if you really want an iPad with 3G capability on it. Well, that's just a disclaimer. 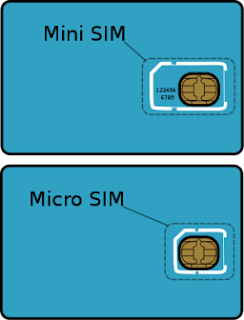 Some tutorial on the internet teaches you to create your own micro sim by literally cutting the regular sim using a regular scissors, but I won't recommend it. You bought your device for a sum of price, getting a reliable micro sim shouldn't bother you, not to mention that it's a little ugly.